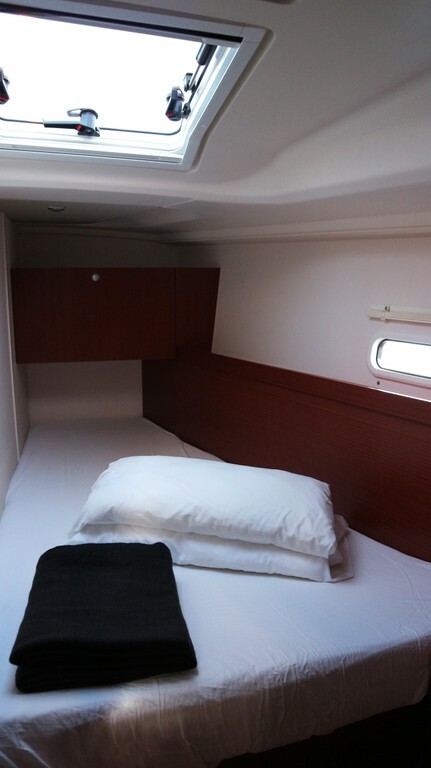 In all versions cabins are bright and spacious. 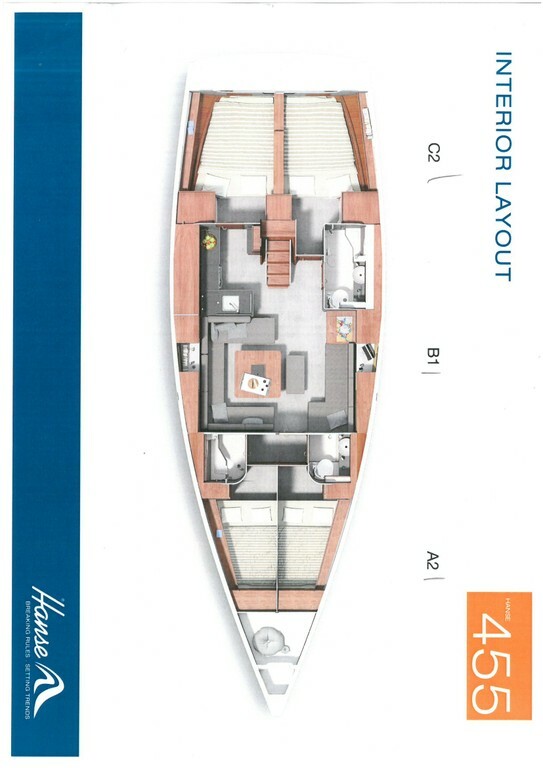 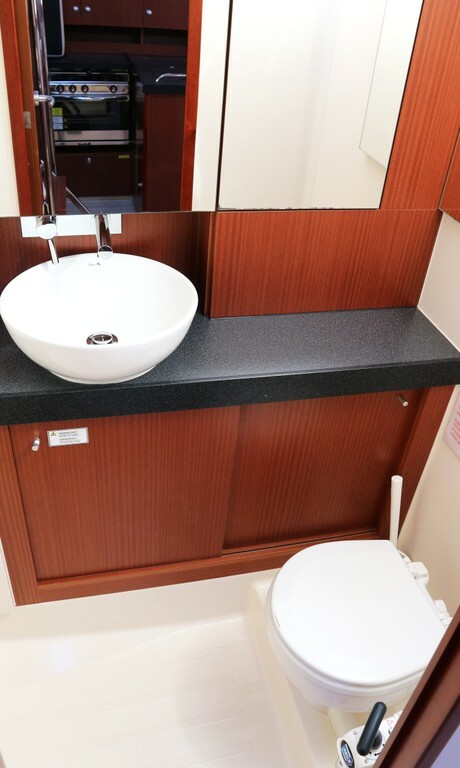 They are complemented with two bathrooms on board as usual in Hanse models. 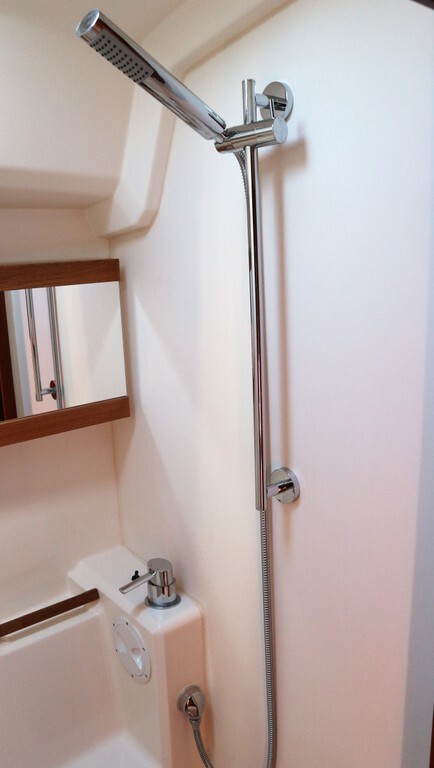 Thus, the 455 offers a toilet with sink and shower to starboard, and another bathroom to port on the back of the room. 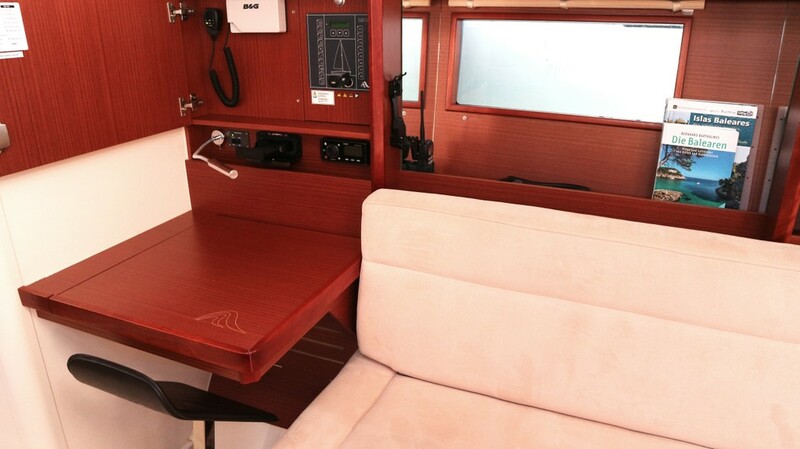 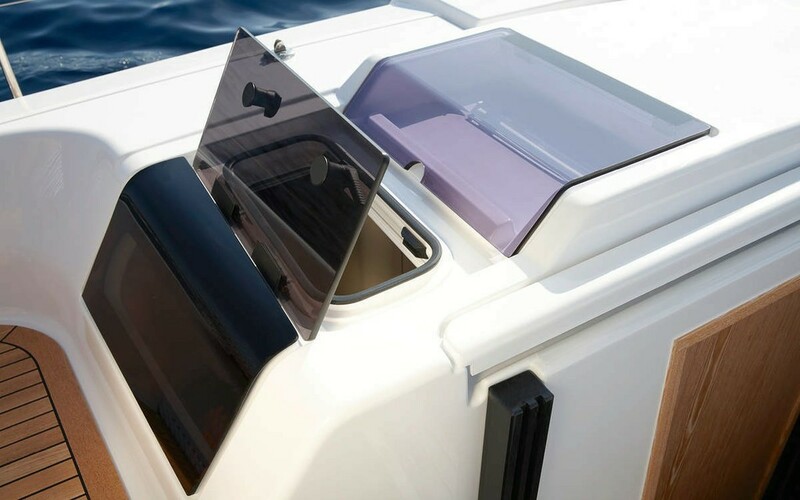 Special details we should mention the 20 hatches bathing all the lower part of the boat that provide great luminosity. 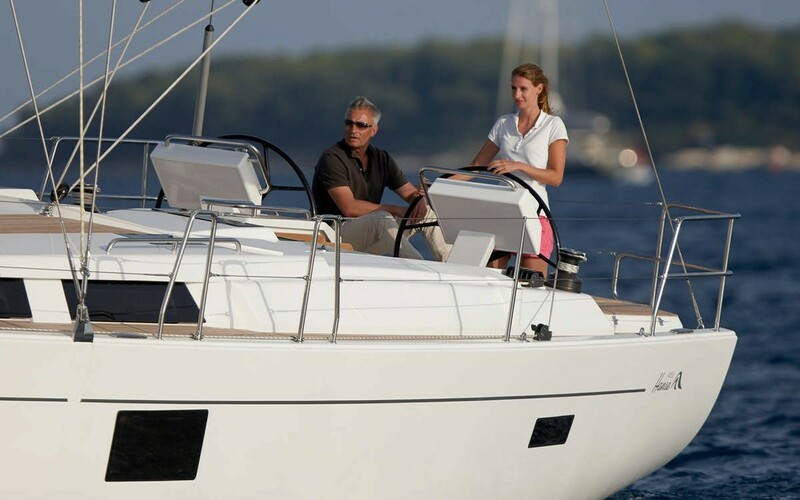 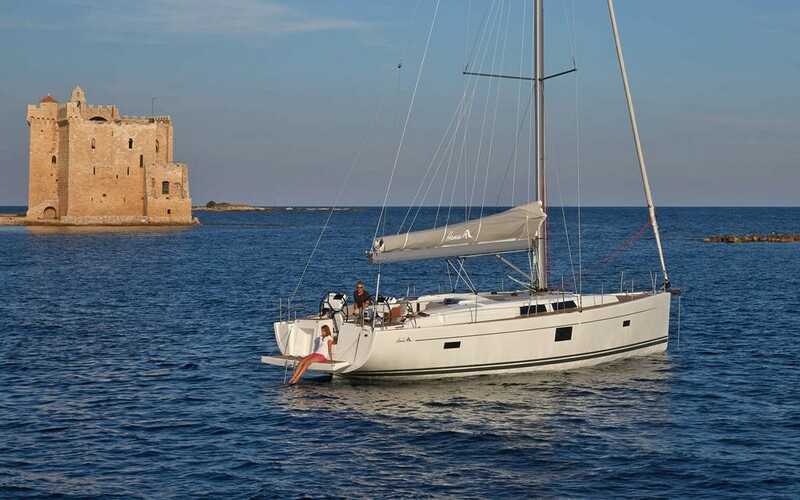 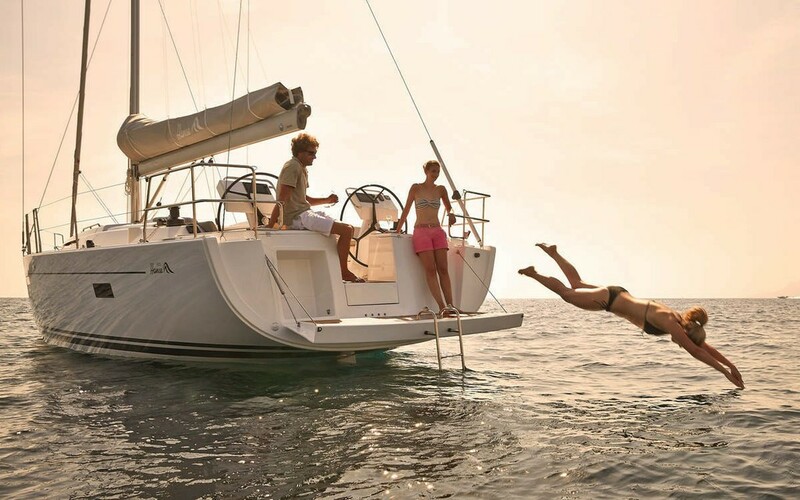 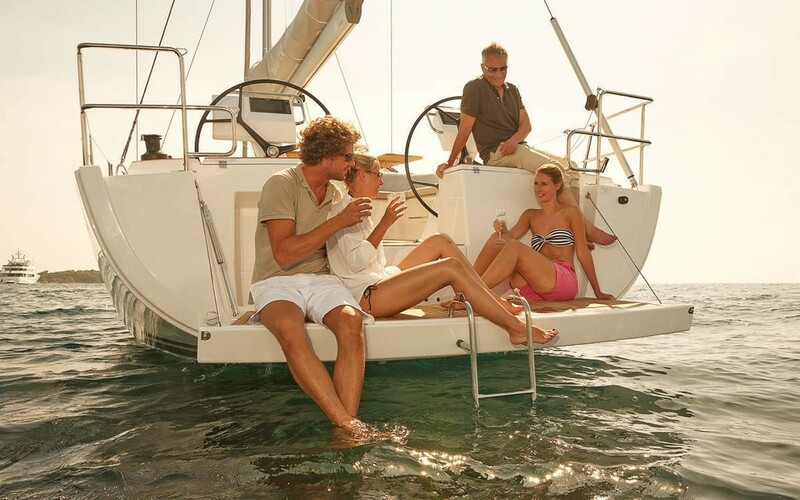 While the large bath 455 is the widest of sailboats in its class. 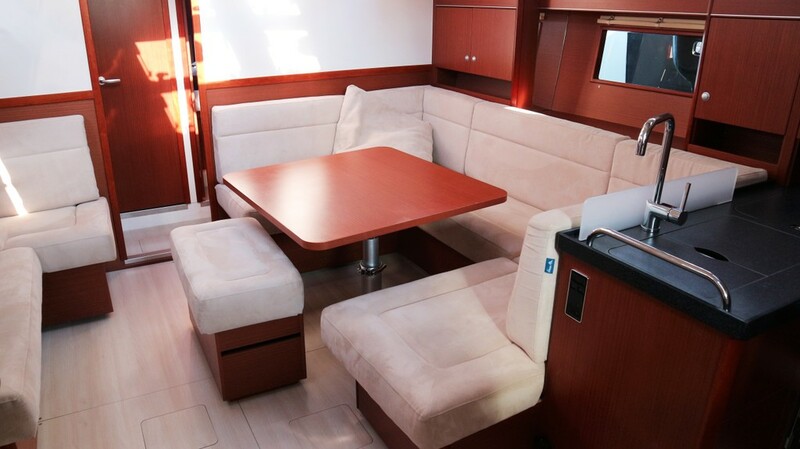 A spacious and comfortable space that will more than pleasant stays in port. 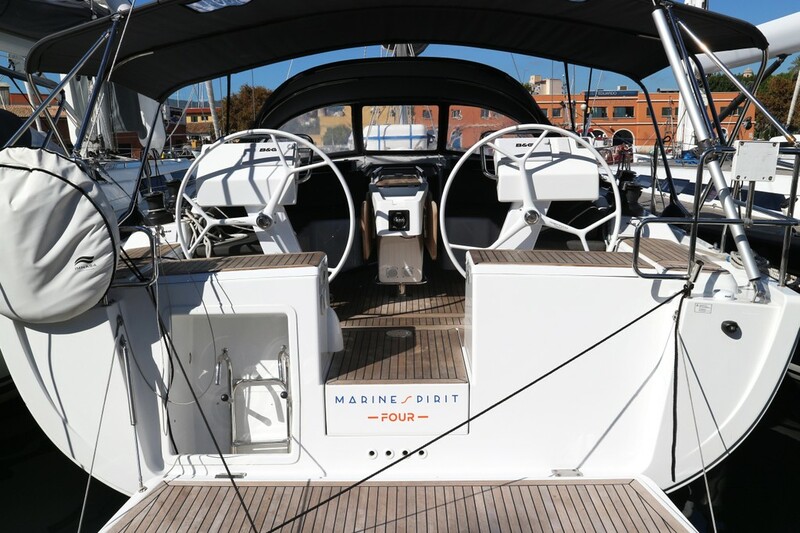 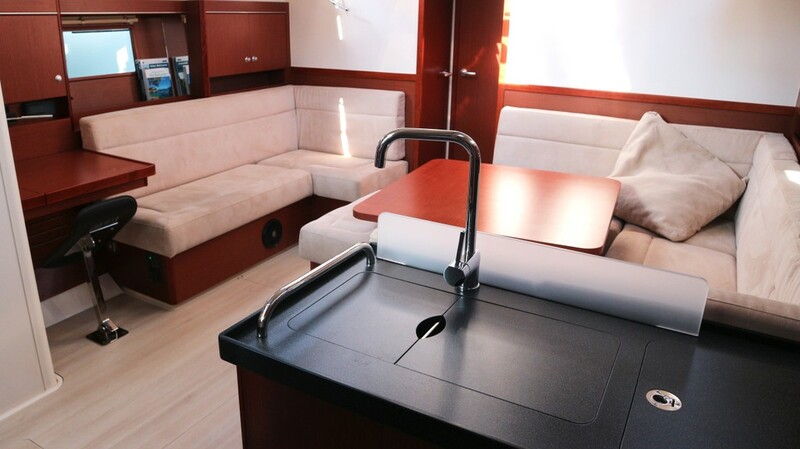 Another point that will draw attention to your presentation will be the great optional roof of the front cabin to the mast, which lends to enjoy the tranquility of sailing with maximum comfort. 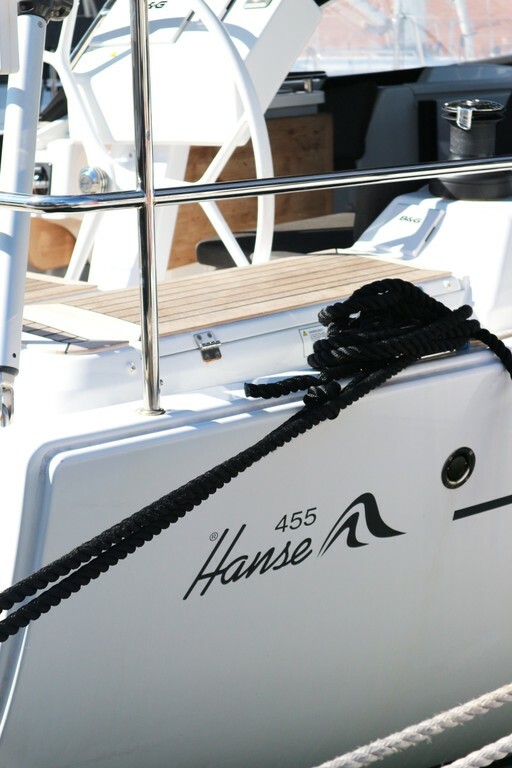 Moreover, in the deck area they are essential its focus tacking standard and winches to handle halyards, sheets and tensioning cables.